The School of Art in Arizona State University's Herberger Institute for Design and the Arts is launching an online photography degree, the first online BFA degree for a studio practice-based degree from a Research 1Research 1 universities are U.S. universities ranked by Carnegie Classification System as having the highest level of research activity. university or fine arts college in the nation. The program includes a range of required courses and electives, from exploring contemporary practice to the history of photography, and culminates with a capstone project. Students will complete photography assignments and share their work with teachers and students across the world. 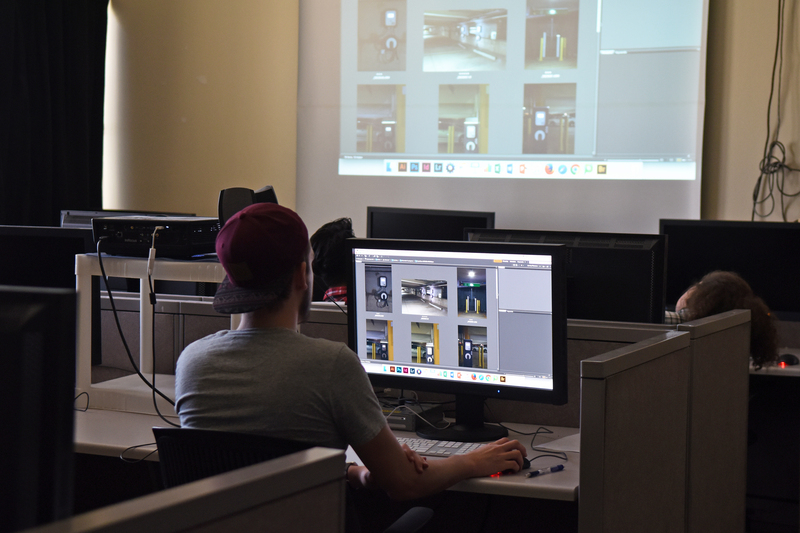 Similar to most on-the-ground studio photography courses, the primary method of learning in these classes will be project-based assignments with critiques between classmates and instructors, according to Schneider. Students will also learn through lectures, readings, exhibition visits, discussions and screenings. After completing the degree, students will have a final portfolio, an artist statement, a community of peers and mentors, and a highly developed ability to give and receive critical feedback. Learn more about the BFA in digital photography. In the 19 years since the Columbine High School massacreThis school shooting, which took place on April 20, 1999, in Columbine, Colorado, claimed the lives of 15 people and injured an additional 24. , federal, state and local authorities have responded to the threat of school violence by implementing a number of security approaches. Despite their best efforts, K–12 public school shootings still occur on a regular basis; more than 215,000 students have experienced gun violence at school since Columbine. In an effort to respond to the latest school shootings, districts are increasingly staking their hopes on high-tech security systems originally developed for the military, police and private industry. Many public schools now have resource officers, metal detectors, security cameras, lockdown drills and active-shooter training, and they have expanded mental health screening and on-campus counseling. While all of those measures are necessary, they’re still not sufficient, said Carl Hermanns, a clinical associate professor in the Mary Lou Fulton Teachers College at Arizona State University. Prior to coming to ASU, Hermanns served as a teacher, principal and assistant superintendent in California and Oregon public schools. Hermanns believes that “restorative justice,” which supports students and teachers to thrive in a culture and climate of safety, respect and emotional support, can help diminish the possibility of targeted violence in schools. ASU Now spoke to Hermanns about this transformative mindset, which is starting to catch on in public schools around the nation. Question: Let’s define for readers what restorative justice is and what it looks like. Answer: Restorative justice encompasses both mindsets and practices that center on nurturing authentic relationships within a safe, rigorous and caring school community. The end result, when done well, is a transformation of school culture where teachers and students alike feel a sense of belongingness, connection and responsibility for the school community. More specifically, supportive school discipline approaches such as restorative justice create the conditions to move past punitive punishment in many situations and toward mutual accountability and individual responsibility for collectively repairing harm, restoring relationships and strengthening the school community. When restorative justice is implemented well, the data indicates that suspensions are reduced, disproportionality is reduced and academic achievement often improves overall, and the research and our experience suggest that those results obtain because when restorative justice is implemented well, discipline becomes just a small part of the picture, because it’s really about a shift in school culture generally. And it’s important to note that restorative justice is not a silver bullet, and it is not a program that can simply be plugged in — it’s about changing mindsets and practices, and that takes intentional and sustained practice on the part of both adults and students, in the context of supportive school structures and adequate resources, in order to build and sustain the kind of safe, caring and respectful school culture and climate we all want. Q: How can restorative justice play a role in school shootings? A: To answer that, let’s step back for a minute and consider what we know about school shootings. First, when you consider the data on school shootings for the last 19 years, from Columbine through Santa Fe, the fact is that out of approximately 50 million K–12 students, less than one-half of 1 percent of students and adults have been killed or injured in school shootings. So statistically, schools are one of the safest places you can be. But it doesn’t feel that way. Ever since Columbine, due to the random nature of school shootings and the horrific consequences of those shootings, those of us in schools have felt frightened by the possibility that it could happen in any school, at any time. And as a result, we’ve instituted a number of measures since 1999 to try to stop, or at least minimize the effect of school shootings. We increased the number of school resource officers in schools, added more secure campus entrances at most schools and metal detectors at some schools, implemented safety and active-shooter drills, and installed security cameras and increasingly sophisticated high-tech security systems. And yet the data does not indicate that those measures are working overall. They are necessary, because we have to do something to mitigate the danger, but they are clearly not sufficient. “Connection through human relationships is a central component of a culture of safety and respect. This connection is the critical emotional glue among students, and between students and adults charged with meeting students’ educational, social, emotional and safety needs." One last piece of data — when the Secret Service and USDOE were trying to understand school shootings, one thing they discovered is that in most school shootings, at least a few other kids knew or suspected it was going to happen. But in the cases they studied, none of the students who knew about it contacted an adult in advance. And that is one way in which restorative justice can contribute to school safety with regard to school shootings. Restorative justice, as I mentioned previously, is centered on proactively creating and sustaining authentic relationships and a sense of belonging, connection and community. And the sense of belonging and connection is what the research, and our own experience, suggest can be our best defense against school shootings. Because when kids feel connected, and truly feel like they belong in the school as a part of a caring school community, they will let us know if something is going down, or might be going down, that could endanger the community. Q: It sounds like students treating each other with respect is a big component of restorative justice; because child and teenage brains aren’t fully developed, that’s not always a given. So how do you teach them those skills? A: In the context of restorative justice, it is a function of how we proactively create a sense of belonging and community among our kids and between the kids and the adults in schools. One way that’s been around in different forms for many years is to make the time for students and teachers to connect with each other systematically and at regular intervals. In restorative justice, it’s referred to as circles, but the basic idea is also reflected in morning meetings, advisory or any kind of structure that creates the conditions for students and teachers to talk and connect. When students get to share their lives, their joys, their fears and their feelings with their peers and teachers in circle, it leads to the development of authentic relationships, belonging and empathy — a community in which we really know each other and really care. And as any fourth-grade — or any other grade — teacher would probably tell you, that’s not going to magically make best friends out of everyone, but when that kind of opportunity is consistently happening, it does help to create caring communities where the kids can practice — and the teachers and administrators can model — empathy, respect and care. Kids want to connect and tell us how they feel; we just need to give them the chance to do so. Q: It sounds like restorative justice has elements of community policing in that in theory it’s preventative but hard to measure. A: I think that’s probably right. Although I’m not an expert on community policing, it’s my understanding that a basic component of it is creating trust and developing relationships within the community, and then working proactively with the community to prevent crime and enhance a safe and connected community environment. So with respect to a proactive effort to create relationships, connection and community in order to develop and nurture safe and caring school cultures and climates and prevent disruptions and consequences that negatively affect students and teachers alike, I think it could be similar dynamics. As for measurement, I don’t know how that plays out in community policing, but I do know that when restorative justice is implemented well, research indicates that suspensions and disproportionality decrease and school culture and climate improve.